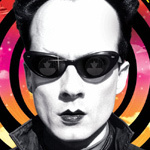 Who is Klaus Nomi? The truth is, virtually no one knows. The Nomi Song finally brings this pop-star into the light by placing the viewer in front row seats to his shows and personal life. This skinny German has a breathtaking voice, singing opera ballads that could bring the heavens to tears, while sporting a wardrobe that would put Marilyn Manson to shame. The film begins as a Martian spaceship lands on earth, with Klaus Nomi emerging and singing the haunting lyrics, “If they saw my face/ Could I still take a boy?/ Will they know me, No-mi, know me now?” After watching his performances and seeing him frolic around in the absurd get-ups, one could say he is truly a freak among freaks. It’s almost impossible to take your eyes off of him, and his mesmerizing voice will touch your heart as he sings Saint-Sa’ns arias in a flawless falsetto. Written and directed by Andrew Horn, this documentary (assembled without narration) vividly captures Nomi’s life and stardom, from home movies to taped live performances to early hypnotic music videos. The many interviews include performance artist Ann Magnuson and painter Kenny Scharf, who befriended the singer while he lived in New York. The bonus supplements are fantastic. The interviews with songwriters Kristian Hoffman, Lou Chrisitie, and other artists are particularly satisfying. They tell stories and discuss Klaus Nomi with big smiles and great enthusiasm, letting us know that although he may be gone, the joyful memories remains untouched. Why these conversations weren’t put into the film is beyond me. I can only guess they were taped after the film was released. The gallery of photographs by David Godlis is also spectacular. Each picture is worth a thousand words, as the photos of Nomi in his bizarre costumes haunt the screen and send shivers down your spine. The deleted scenes are rather slow and not particularly entertaining; you can quickly gather why they were cut out. The DVD also includes two of Nomi’s more popular performances. This is the feature that I enjoyed the most. Both songs are beautiful, but I liked one in particular. He sings a fantastic piece with a full-string orchestra. The segment is very well filmed and recorded, and virtually anyone who appreciates vocal talent will enjoy this show. You can’t watch it just once. Although some of the footage of Nomi is distorted and poorly filmed, it only adds a creepy, yet stunning, feel to the cinematography. The first song we see him sing is set in a rundown art house. The footage is poorly videotaped in black in white, which creates a macabre atmosphere. The sound quality is very sharp, especially when it comes Nomi’s high notes, and generally well mixed. There are no jumps in sound quality between his performances, no matter how well they seem to have been recorded. The Nomi Song will surely move and fascinate anyone who has the slightest interest, while the bonus materials will definitely satisfy anyone who craves more knowledge of his performance and personal image.